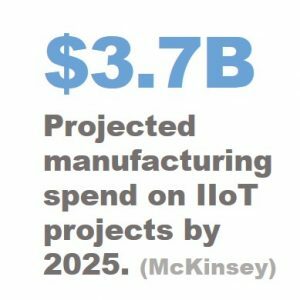 McKinsey Global Institute predicts the Industrial Internet of Things (IIoT) will have an economic impact of up to $11 billion by 2025. 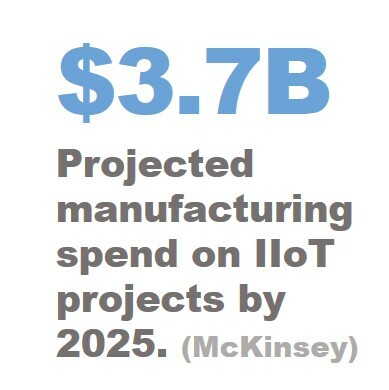 As much as $3.7 billion of that is expected to come from manufacturing improvements in things like operations management and predictive maintenance. The word seems to have gotten out. 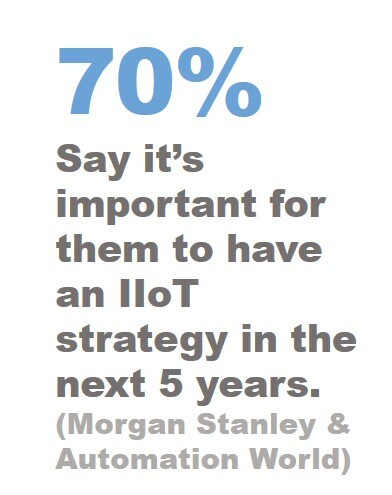 In a 2016 study conducted by Morgan Stanley and Automation World, 70% of respondents said it was important for their company to adopt an IoT strategy within the next five years. 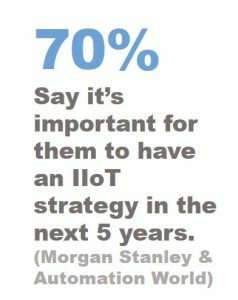 In fact, Morgan Stanley expects IIoT-related CapEx spending to increase from approximately 8% to 185 over the next five years. 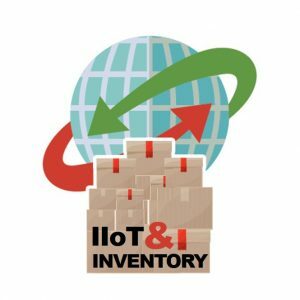 Predictions like these leave many manufacturers with questions such as: How can the IIoT help my business? How can we get our share of that $3.7 billion pie? If I’m going to increase my CapEx spending on the IIoT, where should I focus those dollars? And, what kind of ROI can I expect? They don’t require a major overhaul of processes or retooling the factory floor. Capital outlay is often minimal. They support key manufacturing philosophies like Lean, Theory of Constraints, and Six Sigma. The ROI is real and measurable. They can be executed relatively quickly, often providing an ROI in less than two months. 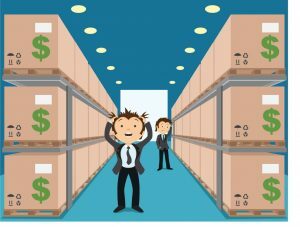 There are more complicated ways to calculate the cost of excess inventory. Go ahead and use them if you are comfortable with the math, but this simple calculation works well for most accountants. 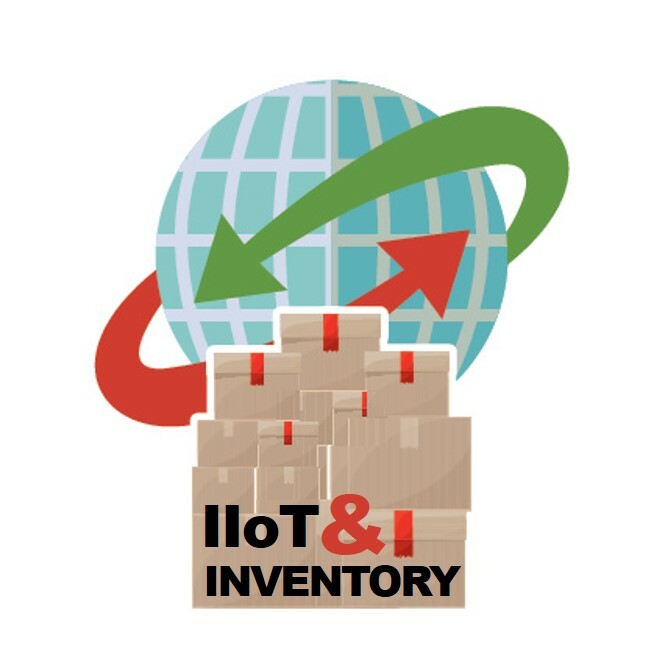 Regardless of which method you use, the bottom line is always this: Excess inventory is costly! But how much of my current inventory is “excess”? That question encapsulates the challenge for manufacturing. Manufacturers often feel they need to keep a certain number of weeks’ supply on hand to meet lead times and deal with variability. That may be warranted in some cases, but when we talk to manufacturers about lowering costs, we find that many over-apply this principle by treating all inventory the same way and overestimating how much they actually need to keep on hand to meet service levels. A common way to implement pull-based replenishment signals is to implement Kanban. But, there are a couple of inherent challenges to implementing Kanban manually. The first is that manual Kanban requires workers to do certain things, such as to manage physical Kanban cards which are prone to error or getting lost. The second challenge to manual Kanban is in determining container sizes. How large should they be, and how many should you use? eKanban can resolve both of those challenges. The signals are electronic, so there isn’t a card that can get lost, damaged, sent to the wrong place, etc. Applications like SyncKanban (the Snynchrono eKanban solution) also responds instantly to changes in demand, resizing containers and adjusting K-loops. A K-Loop (Kanban-Loop) is the number of Kanban Cards in the replenishment and usage cycle of an item. The K-Loop is created as a closed loop of activity between all involved in the use and supply of materials. Dynisco is a leading manufacturer of materials-testing and extrusion-control instruments, and they take continuous improvement seriously. They implemented a manual Kanban system in several factories but found it was too prone to disruption to help them achieve their goal of a 30% reduction in inventory levels. After replacing the manual system with eKanban software across four factories, they achieved inventory reductions of 51%, 55%, 43% and 29%. The factory that reduced inventory by 55% also reduced lead times from 12 weeks to 2. Read the full case study. 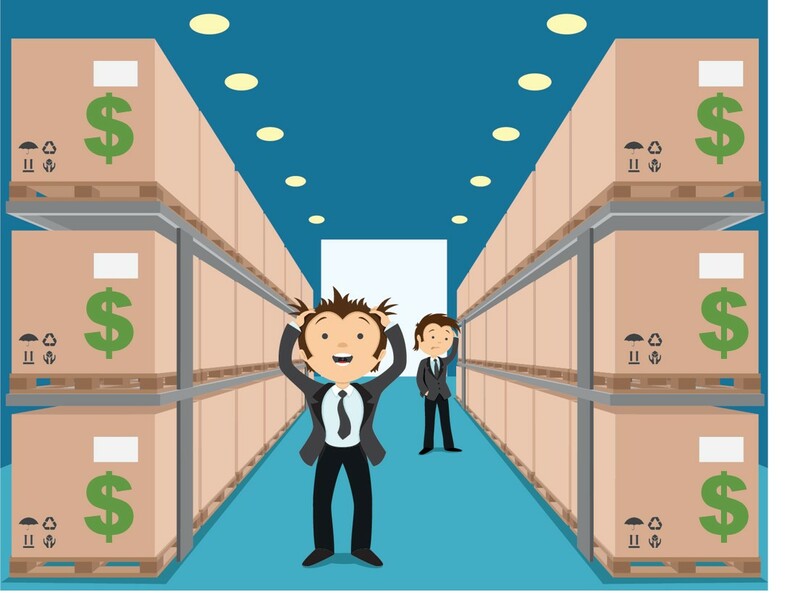 If you’re ready to reduce inventory levels in your organization, you can schedule a demo of eKanban here or reach out to speak to one of our representatives at info@synchrono.com.